How to Bypass Reliance Jio Speed Cap Limit of 1GB? Reliance Jio has brought a new revolution in the telecom industry with its high-speed 4G data offering. The telecom company started with its lucrative offer of unlimited free 4G data at high-speed offering as welcome Jio offer and soon became one of the leading telecom brands in India. With the record-breaking large number of users switching to Reliance Jio, it has become one of the fastest growing networks and holds a significant market share. But soon, Reliance Jio started introducing restrictions that would help it earn money without throwing its customers away. Started by offering free 4G SIM card and free unlimited 4G data, Reliance Jio added 4GB data cap limit later in the Welcome Jio offer and then with Happy New Offer, it reduced data limit for unlimited high-speed FUP (fair usage policy) further down to 1GB only. No matter what region (in India) you belong to, you can enjoy unlimited high-speed 4G internet up to 1GB for free every day. However, post-1GB your speed will be reduced to only 128kbps. If you have become addicted to high-speed 4G data, reduced speed to 128Kbps is surely going to irritate you. Being a Reliance Jio internet user, same is the case with me. So how to bypass Jio data limit of 1GB and enjoy unlimited high-speed 4G data for free? How to Bypass Reliance Jio Data Speed Cap Limit of 1GB and Enjoy Unlimited Free Internet at High Speed? Let me confess, I have multiple Reliance Jio sim cards, and I have been using these even before the public launch of Reliance Jio (as Jio Preview offer). But even if you have 5 Reliance Jio sim cards, 1GB high-speed data limit is not something you are going to like. With only 5GB high-speed data, I was looking for an alternative to Reliance Jio. Because 5GB data is never enough for my everyday blogging needs. And, I tried every trick I could get my hands on. After trying many “so-called” Reliance Jio free unlimited data tricks, I finally came to a Reliance Jio speed cap solution that worked. The internet is full of such tricks and most of them either recommend you to install an older version of MyJio apk app or use a proxy server. But if you are a “PRO user” or tech-savvy like me, you would never like to ignore your privacy and device security. Unless you don’t know about the legitimacy of an apk, you should never download them on your device from any unknown third-party sources. Since such apps might be cleverly coded with some malicious code, intentionally coded to steal your sensitive data like credit card information, important password, etc. If your privacy and security are important to you, you should avoid such crappy solution at any cost. However, the Reliance Jio speed cap solution I’m going to provide you is completely safe and a real beauty of my all efforts in the research. 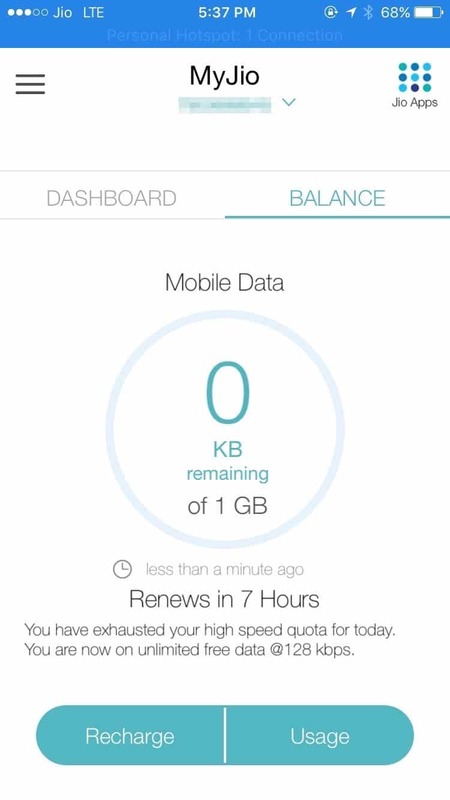 So without further ado, let’s find out sure shot working trick to remove Reliance 1GB data cap limit. Update: It seems during the recent update of MyJio app, Jio team has worked on fixing it and unfortunately, the trick no longer works. Before you start, log in to MyJio app on your device. 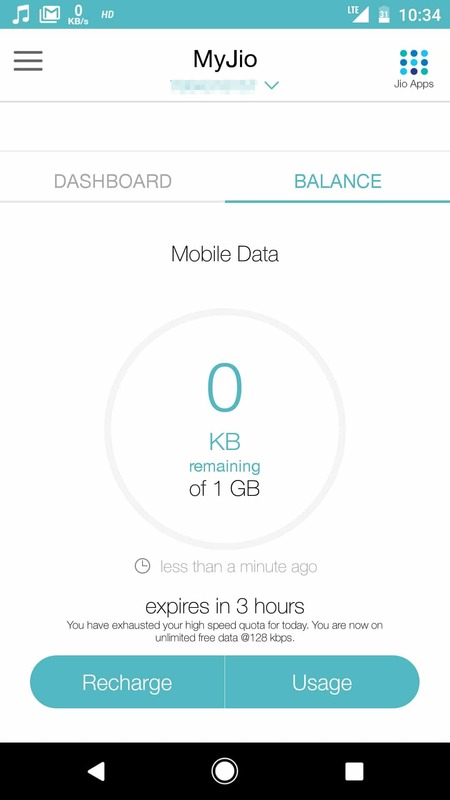 Now check your data balance if you have really exhausted your 1GB data limit or internet speed is slow due to other reasons. 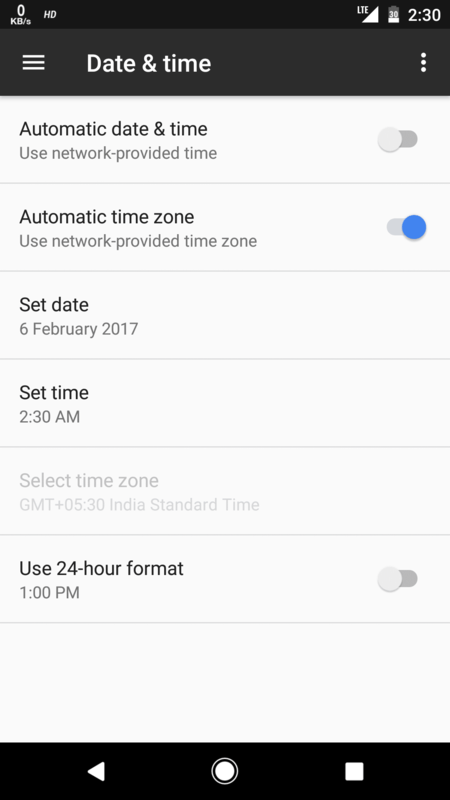 Once you are confirmed, go to Settings on your Android device and scroll down until you find “Date & time” under the System settings. 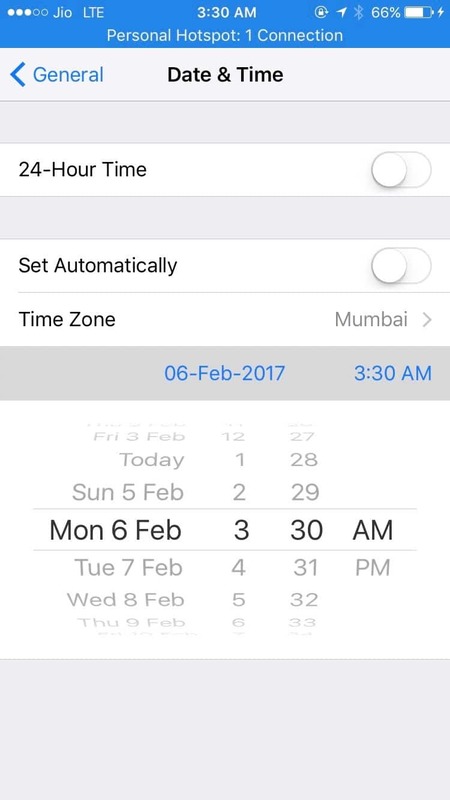 Tap on Date & time and set a device time that is a day ahead of your current device timing so that you may make MyJio app fool. If it is 5th of February today, and you have exhausted 1GB data limit of today, you should consider setting the date to be 6th February so that MyJio should consider it as a fresh day. It’s interesting to note that even in the Happy New Offer by Reliance Jio, it offers unlimited free high-speed 4G data during 3 hours starting from 2:00 AM to 5:00 AM. 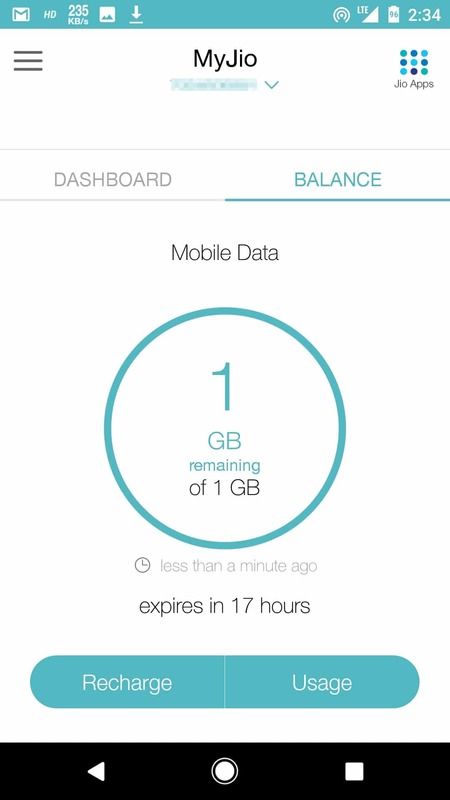 So a time between this would ensure that you won’t be exhausting any data of your next day quota of 1GB. That’s a cool trick to consider while setting the time. Voila! Enjoy unlimited high-speed 4G data for the next 2-3 hours. Repeat the process from step 1 to step 3 and try some other days. Keep enjoying unlimited high-speed 4G data for free. The solution for removing 1GB data cap limit on iPhone is pretty similar to how you removed 1GB data cap restriction on Android. Follow the steps below to bypass Reliance Jio 1GB data limit on iPhone. First of all, go to MyJio app to check and confirm if you have really exhausted your 1GB data limit or internet speed has been throttled for other reasons. Once confirmed, go to Settings and under General Settings, scroll down until you find Date & Time settings. In Date & Time settings, select a date & time that is a time ahead of the day you have exhausted your speed cap limit. I repeat it, and it’s worth noting that even in the Happy New Offer by Reliance Jio, it offers unlimited free high-speed 4G data during 3 hours starting from 2:00 AM to 5:00 AM. 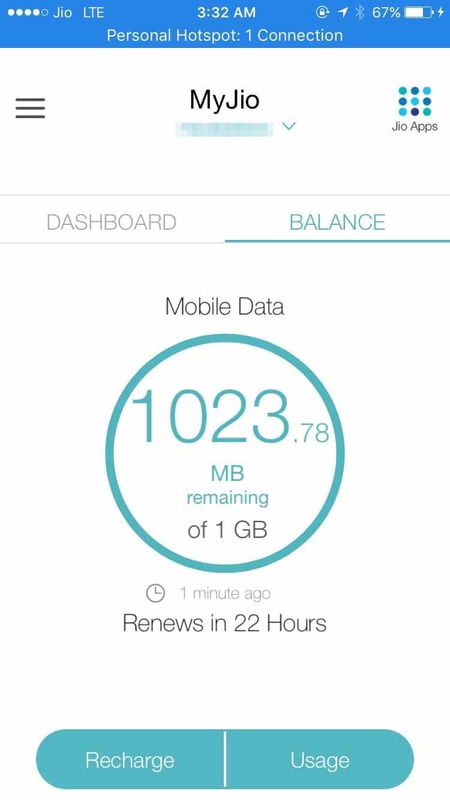 So a time between this would ensure that you won’t be exhausting any data of your next day quota of 1GB. That’s a cool trick to consider while setting the time. Awesome! Congratulations! Now you can enjoy unlimited high-speed 4G data usage without any limit or speed cap restrictions. I have been a keen admirer of Mr. Mukesh Ambani’s initiative to make India live a digital life. I believe Reliance Jio is a big boon to the Digital India movement. With the high-speed internet reaching every village of India, India is on the verge of becoming a more powerful country with every individual having enhanced digital skills. Reliance Jio has set a new standard in the telecom industry. However, putting a data cap limit is something that throws it back again in the same boat with its competitors. If you too hate it, hopefully above trick will help you bypass Reliance Jio data cap limit and enjoy high-speed 4G data. This post is not written with a purpose to promote any illegal hack or trick, if you think so, consider contacting us with your concern. I would appreciate Reliance Jio if they stop all “so-called” FREE offers and start charging money for standard plans that I opt for. Don’t you think so? Do let me know if this Reliance Jio speed cap solution worked. What are Bitcoins? Where and How to Buy Bitcoins Instantly with Credit Card? I never knew I can use jio after the speed limit of 1 GB. The trick no longer works. Thanks for the article but does it really work, Because I have used more 25 GB data & now my speed is less. So will it also work for me? It seems after the recent update, the trick has stopped working. So I don’t you’ll be able to do this now.